Doing more with less is a skill mastered by entrepreneurs. Budgets are tight, deadlines are short, and time is of the essence. Entrepreneurial project managers use these parameters to their benefit. Hurdling over obstacles with the bare minimum of effort makes their projects and teams stand out. 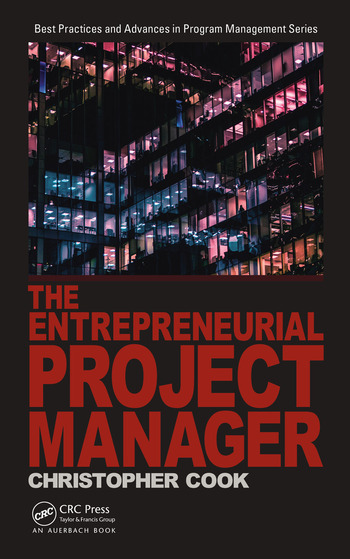 Focusing inward to develop the skills and mindset necessary to accomplish anything with anyone sets an entrepreneurial project manager apart from the group. 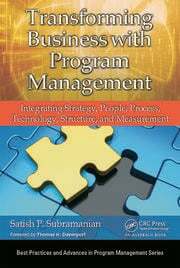 This book builds on the basics of project management knowledge with tools and techniques to get you as well as your projects and teams performing on an advanced level. 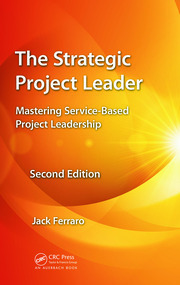 No matter your industry or experience level, this book gives you practical ways to improve any project. More importantly, it shows how you can improve your own performance. The biggest improvements a project manager can make are about him- or herself. Personal limitations can be the hardest obstacle to overcome, and this book explains how to overcome them. The techniques have been tried and tested by the author who shares them with you in this book. Whether in your projects or career, all the right things can be said and done, yet the results are always unpredictable. We all have little control over events. This book’s tools and techniques give you the ability to handle anything that may come your way. Entrepreneurs are constantly changing and adapting to the world around them. They must stay cutting-edge to make their businesses thrive. 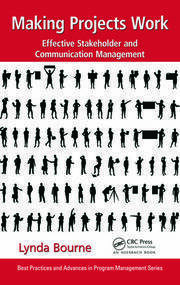 This book explains how to take a cutting-edge approach to project management. The goal is to take your technical skills as a project manager, add the elements of an entrepreneur, and create a high-powered team around you as well as become the best project manager you can be. 5.5. What Do You See? 6.8. "We Asked Questions. We Got Answers." 7.9. Learning to Say "No"
9.4. Are You Lucky or Good? 9.8. Can Both Parties Be Right? Over the past ten years, Christopher Cook, PMP, has spent his career in the construction industry. Aspects of the industry include heavy highway, aggregates, sewer, and grading roads. During this time, he earned his Bachelor’s of Science in Industrial Technology Management with an emphasis in Building Construction Management, Master’s of Science in Project Management, and Project Management Professional (PMP)® certification. In those years, he served as a laborer and worked his way up to estimator and master scheduler roles. Serving in these various roles has provided many opportunities to monitor and control projects from headquarters. The portfolio of projects is in the tens of millions of dollars annually. Working side by side with operations, he has the technical skills necessary for daily work while learning the management way of doing things to serve as a better manager. He is a member of the local Project Management Institute (PMI) chapter in Denver, Colorado. Having the right education and technical background has proven vital to his success and continued growth in the industry. He shares his project management insights weekly through "The EntrePMeur" blog (http://entrepmeur.wpengine.com).